Thanks to Aleksandr Gladky’s Facebook page, the guerilla unit “Shadows” became famous throughout the country [Ukraine]. You can choose not to believe his words. You can choose not to agree with his assessments. But it is impossible not to envy his confidence in his forces and the righteousness of his cause. – Aren’t you afraid to reveal your last name? – Gladky – is not my last name. What should I be afraid of? Who needs [to know my name] – will figure out my name anyway. Let them try to take me [though]. – What did you do before the war? – I worked in the security service for companies and corporations. Before that – I worked as an investigator for particularly important cases [Prosecutor’s Office]. – When did you decide for yourself that you would have to take up arms? – On March 13, 2014. After I attended a rally on Lenin Square in Donetsk, and we all nearly got set on fire in a bus. – Who came up with the name “Shadows” [for the unit]? – I did. After all, we are the shadows of [our] enemies. We are always next to them. And just as you cannot kill your own shadow, it is impossible to destroy us. – I’m not asking about the exact numbers, but how many guerrilla fighters are you talking about – single individuals, dozens, hundreds? – Yes, all from Donbas. – Do these people live both on liberated and occupied territories? – I’m not ready to answer this question. – Did you have instances of treason or escape [in your unit]? – Do you work across the entire Donetsk region? – From Novoazovsk [southernmost city in the region] to Donetsk. – Where do you get the weapons from? – [Our weapons] are trophies. We got our first guns with our bare hands. We killed those with the weapons with our bare hands. – Do you have a large number of trained people capable of killing with their hands? – It’s enough to destroy two guys, and you already have the weapons. And then, who were those people with weapons in their hands? Drug addicts, alcoholics. So it is not as difficult to obtain the weapons as it seems. – As far as I understand, all sorts of people serve in your unit. – There are officers among us. But they are few. We mostly have volunteers who learn to work on the go. – But they must possess at least the minimum skills, for example, fire training. – And where [are we supposed] to train? Sorry, but we don’t have training grounds. We don’t even have “greenery” [forests]. Just [farming] fields everywhere. We partner newbies with more experienced fighters, and that’s about it. In civilian life, these people were not even aware that they were capable of [so] much. That, without training, they would be able to quickly acquire such knowledge, such abilities. – What are your tactical goals? – The physical elimination of the enemy, sabotage, as well as data collection and its transfer to the Armed Forces of Ukraine. Sometimes, we work with the Armed Forces for fire correction. – Are you in constant communication with the Armed Forces? Did you seek them out, or they did attempt to contact you first? – Unfortunately, the military never take the initiative. We did initiate [the contact] and sought out the military. Currently, all commanders have plenty of contacts in the army, and the information gets transmitted up the chain. If there is a rotation of staff at a checkpoint, the newcomers get [our] contacts. He gets our contact phone number and is instructed: you can turn to these guys on any issue. – When you talk about the physical elimination of the enemy, is it a randomly selected target? Or do you purposefully track and work on a particular object? – The groups that are part of this unit act autonomously. 70-80% of the operations to destroy the enemy (both manpower and equipment) are carried out in free hunting. Usually, accessible targets are selected, whose elimination will allow [us] to finish the task with minimal losses. Sometimes, specific objectives get set. For example, work on unit commanders. About three months ago, we shifted to the elimination of mostly military personnel of the Russian Federation, Russian mercenaries, and separatist commanders. – And how many of these targets have you eliminated? 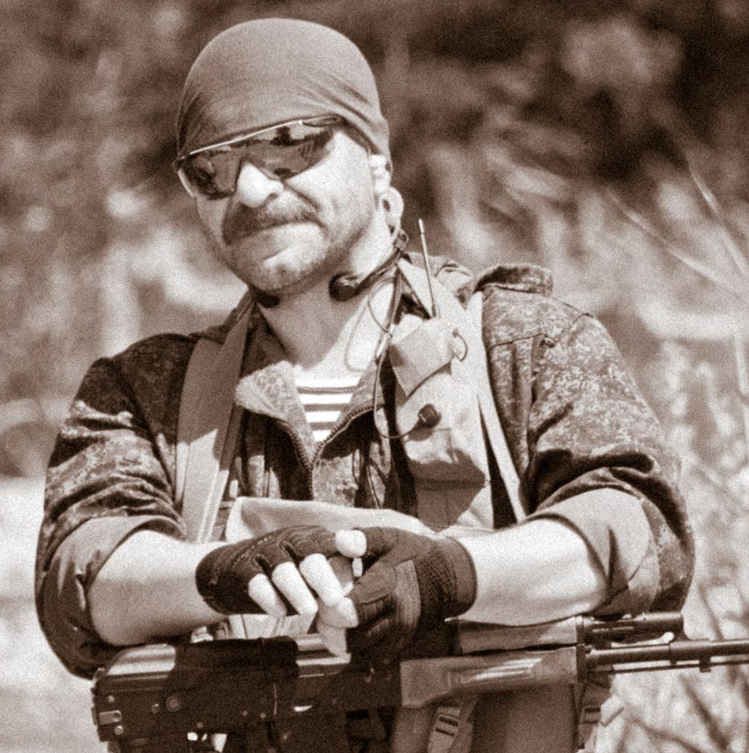 – Andrey Borisov, callsign “Chechen,” field commander, former commandant of the city of Mariupol. He was eliminated along with two officers of the GRU, Protasov and Lysyakov. General Sergei Andreychenko and field commander Rafi Abdul Jabar, 12 Russians and six Chechens with them. On November 23, [2014,] we eliminated eight Chechens, seven Russians, and three separatists in the area of Kominternove, who came to organize counterinsurgency operations. Among them, call signs “Lion,” “Izbrannyi”[“Chosen One”] and “Fifth” were eliminated. On December 27, in collaboration with the SBU, we eliminated a sniper team leader Amir Aldanov, call sign “Leader.” In January [of 2015], we eliminated Russian Major-General Petr Pavlov. And the traitor-General Oleh Morhun, the former head of Mariupol police, who sided with the separatists. We worked on Zakharchenko [DNR leader] from a Dragunov sniper rifle, but missed and killed a security guard. – I read that this was an army sniper. – I know that it was our man. I know his name. Our work is often attributed to others. We are used to it. – Is it possible to eliminate such characters as “Motorola” or “Givi“? – Then why are they still alive? – I am aware of two. – [He is] this lucky? – We were a step away from elimination. But the Almighty has other plans for now. – Have you stumbled on the generals which, in your words, have been eliminated, by accident, or [have you pursued them] on purpose? – Where do you get the confidence that the eliminated individuals are really the Russian generals? – We have reliable sources. – Can you name the total number of eliminated individuals? – Up to 600 people. But I do not have the latest data, the guys didn’t report in. A part of the group went up to the north. [They] work in the back of the enemy lines. – As far as I understand, you don’t have particular opportunities to confirm the elimination. – Yes, we have difficulties with the evidentiary basis. As a rule, we work at dusk or at night, often at a distance. We neither have the time nor the opportunity to take photos or videos of our operations. We have no objectives to promote ourselves either. Our task – is to provide Russia with a sufficient number of caskets. So that the citizens of that country realize what they got themselves into. – What are your losses? – We don’t have the “300’s” [wounded]. Only “200’s” [deceased]. We lost eight soldiers. I also count as our losses the five guys from the sabotage and reconnaissance group of my friend Vitalik Ukraintsev, who died near Pisky. And another good friend of mine died in Donetsk. 14 people I light candles for. – Where and when was your first serious work? And when we arrived in Dnipropetrovsk, we were asked: “What, is it too hard to take the executive committee for the second time?” And so we seized it on May 6th. – And what did you do in Dnipropetrovsk? – We came to Dnipropetrovsk to retrieve the reward promised by [Ihor] Kolomoisky. – For the captured [servicemen]? – We do not take anyone prisoner. Then, if you remember, [they] promised to pay not only for the prisoners, but also for the weapons and for the liberation of the captured administrative buildings. We wanted to get a reward for taking back the building. – No. But it does not matter. We are not fighting for money. The promised 10,000 would have been a nice bonus. We didn’t get the bonus – God be with him. On May 6, we liberated the Mariupol executive committee for the second time. We took it in three groups of five. We used liquid “Fialka,” which severely affects the mucosa. We worked the building, and all of them crawled out. Then we and the groups moved back to Donetsk. One group was left in Mariupol. When the shooting started in Mariupol on May 9, all that the group could do was to disable two APCs seized from the [Russian] military. [The group] set one ablaze and poured some chemical concoction on the second. – When the “Azov” [battalion] liberated Mariupol, did you offer it assistance? – At the time, separatists crawled to the 4th building of the Institute and the bank building at the intersection of Gretska and Italianska Streets. They set up barricades there, reinforced them with heavy weapons, grenade launchers, machine guns, and armored vehicles. Then I spoke with Ihor Mosiychuk. We agreed that at some point our group will spread “Fialka” to both buildings with “orcs” and will make a pass through two checkpoints. At the same time, I warned “Azov” servicemen to use gas masks, and explained which ones. We completed our task. 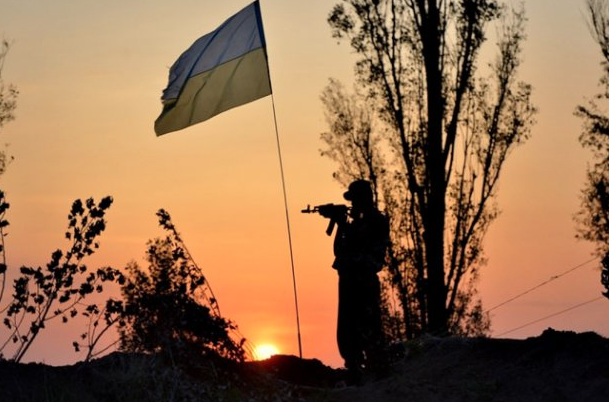 On the eve of the operation, “Azov” rightly launched the information about the impending assault and that the battalion had received heavy weapons. And because [of that] at the time of the assault the “orcs” only had up to a hundred “die-hard crazies” and that’s all. The rest left. Took heavy weapons, the prisoners, and left. “Chechen” and his team spread [themselves] around the city, and then left for the north, in the direction of Sloviansk. – What is a priority in the work for you – the elimination of the enemy, sabotage work or intelligence gathering? – To maintain good relations with the Armed Forces of Ukraine, one must gather intelligence. But young people (and there are many of them) don’t find the scout work interesting. They want more action. And rightly so. And [it’s] necessary. That’s why we engage in the elimination of personnel and equipment. We use MONs (MON – Controlled frag mine of directed action. – Ed. Note) and landmines. – Do you conduct acts of sabotage on communications? – We blow up equipment. [We] treat tanks and “Grads” with chemical “concoctions.” We haven’t initiated [sabotage] on communications. In one instance, we disabled a substation in the vicinity of Telmanove. But it was a distracting blow. We needed to divert attention and leave safely. We try to work at a distance. We do not engage in direct fire contact without need. – If the nature of the relationship between you and the Armed Forces changes, and the Army will not only be interested in gathering intelligence, but also in intensification of the subversive work, are you ready to cooperate with the military? – We must assess the complexity of a task, and our own capabilities. If we can perform [it] – then we will do it. If not – then no. – Did you get ambushed? – A group of five people went to Luhansk and disappeared. They probably got ambushed. It was the first and only attempt so far to move into other areas. – How do you replenish your weapons and ammunition? – There are. The Armed Forces help us a bit. That is, personal contacts do. Volunteers help as well – with body armor, clothing, and thermal underwear. – How do volunteers reach you? – They work with “Dnipro-1” [battalion]. And I am officially listed there. – What about night vision and thermal imagers? – The guys have trophies. We have everything. For example, separatists had an underground weapons repair shop in the hospital in Telmanove. We know where their repair shops are. We completed the task, took what we needed, and then treated the building with chemicals. – Is someone other than you still listed in the units of the Armed Forces, the Internal Affairs or the National Guard of Ukraine? – That is, they won’t be likely to receive the status of the ATO participants? – If we are unable to do something about this in the near future, then most likely not. Previously, a lot of people promised to help with many things. Especially before the elections to the Verkhovna Rada [Ukrainian Parliament]. But those who get there [to the Parliament], as a rule, immediately grow cold to the war. Although there are exceptions. For example, Taruta [former governor of Donetsk region]. Even though he ended up in a place of lepers, the Verkhovna Rada, he continues to help in any way he can. In my opinion, the two people who have done a lot for Ukraine in this difficult time are Taruta and Korban [deputy head of Dnipropetrovsk regional state administration]. Although they might not have been motivated by patriotism in the beginning, their interests coincided with the interests of the Ukrainian people. And they gave it everything they had. And [they] continue to give it all even now. – Do you have a plan “B” in case the line of contact, God forbid, moves far enough from the place where your soldiers operate? – [Our] groups are autonomous. They are able to provide themselves with everything they need –weapons, ammunition, and food. The enemy has everything that we [might] need. I would not overestimate the participation of the Armed Forces of Ukraine to provide us with ammunition and everything else. And, by the way, we periodically had troubles crossing our checkpoints. We crossed separatist checkpoints without any issues, but have problems with ours. So, if there is no army close by ­– it’s not a critical [problem]. – We are used to working surrounded by the enemy. This is what our work is about. I have no grenades [on me] only when in Kyiv, Dnipropetrovsk, and Zaporizhzhia. I will definitely decide against getting caught. If any of our groups significantly “exposes” itself, I will bring it under [the auspices] of one of our battalions. Given personal contacts with battalion commanders, I will be able to do it. Being in close proximity to the enemy – is our work. The enemy must feel the power of the people’s resistance in the occupied territory. And we must prepare other regions – Zaporizhzhia, Dnipropetrovsk, Kharkiv, and Kherson – for the guerrilla movement. – Do you think the war will go this far? – We have to consider all the possibilities. If that happens, then I see the only way out – to start a war on the territory of the Russian Federation. If Russian troops begin to move deep inside the country [Ukraine], we will organize local apocalypses for them on their territory. – What are the specifics of working with the local population? – That we have to find the right grandmothers and grandfathers, who can confirm this or that information. – And how do you motivate your sources? – If a grandmother receives 200-300 [8-12 USD] Hryvnias, why won’t she help? – Where did you get the funds to work with the public? – I get a salary and bonuses. – But this is not enough? – I’m not saying that we “feed” everyone. My bonuses are in the whereabouts of 28,000 Hryvnias [1,204 USD]. I can donate to the common cause. For the sake of future victory. I am sure it will be swift and final. Because you cannot defeat the people. There are, of course, some proletarians, who live in their own fantasy world. I traveled a lot and I can see the difference between our people and the Russians. Our people are not bad or good, just different. And these people are undefeatable. – You will not argue that the people like you are in the minority in Donbas? – But the “Orcs” are not in the majority, too. I can confidently say that, for example, a number of pro-Ukrainian residents has increased in the area of Novoazovsk. People have something to compare to [now]. – Most [people] just sit and wait. – Let them sit and wait. Most important thing is that they don’t jerk around with a gun. – But there are plenty [of people] with weapons, too. – Less and less every day. Human resources are finite. I understand that the Kremlin has turned Donbas into a zone for the disposal of its [the Kremlin’s] genetic waste. But sooner or later this source will dry up as well. – What is the ratio of locals and Russians in the enemy ranks? – I can only speak for our area of responsibility. Previously, there were about five thousand armed persons. Of these, separatists constituted about a thousand and Russians – 4,000. Now the situation has changed; redeployment takes place periodically. I can’t speak definitively, I must look at a specific place at certain time. For example, the Novoazovsk highway is completely controlled by the Russians. They have a very bad relationship with the separatists; the Russians consider them cannon fodder. The guerrillas once took advantage of this and provoked a fight between the “orcs” and the Chechens. – Do you not believe in a truce with the enemy? – You cannot negotiate with them! – Then [we] need to fight to the bitter end? Take Donetsk and Luhansk? – It we take Donetsk, Luhansk will die on its own. – But the attack on major cities will incur heavy losses. – If you think linearly it will. But this war is not linear. Let [them] search for a solution. If they need it – I can offer my suggestions. There is always a solution. If the government sees salvation only in surrender, then it is certainly not the government of winners. People, not the government, wage [this] war. And the people will win this war, not the government. And the government… If the government gives up on Donbas, then it will live looking over their shoulders. All their lives. This entry was posted in English, English News, Featured, Languages, News, Opinions, Regіons, Social Media, South&Eastern Ukraine, War in Donbas and tagged #FreeSavchenko, #freesentsov, #RussiaInvadedUkraine, #Shadows, #StopRussianAggression, #UkraineUnderAttack, Donbas, Ukraine. Bookmark the permalink. This man is excatly what will defeat the Russians.His people have the passion of their homeland that they are fighting for.Mr Gladkty you are AWESOME!! I think the Ukraine government is doing everything they can for Donetsk and is happy to have you on their side. And, they’ve just knocked off Alexei Mozgovoi. These patriots don’t muck around. All the best to these iron men – shadows beat ghosts.